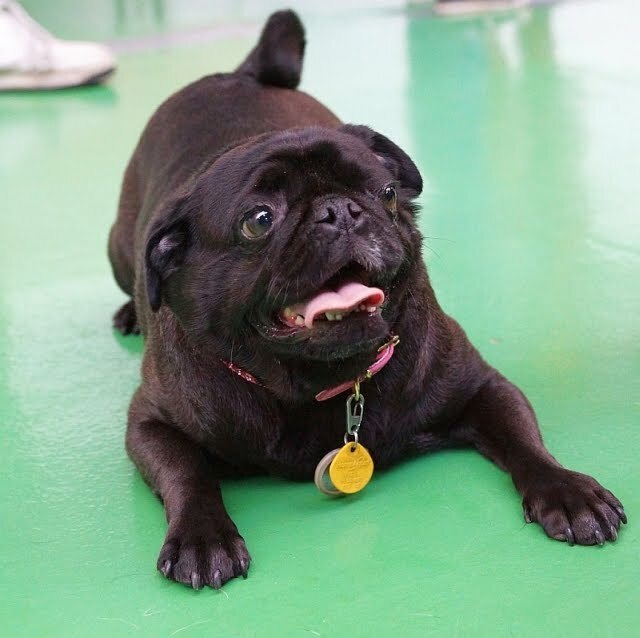 By day my name is Bellatrix, a happy go lucky pug who likes sitting in the sun, trips to the dog park and sleeping on the sofa. At night I transform into "Bandido de calcetin" I sneak into your room and steal your socks. I tip toe down the hallway and wait until you take them off. You think they are safe in the hamper or on the floor, but just when you walk away they are all mine. I love the stinky ones best...like after a long day at work. I don't chew on them, nope just like to carry them around. My mortal enemy is (don don don) the flip flop. Last time mom wore those I was a wee little one and I would chew her newly pedicured toes, but it was a secret ploy to get her into glorious socks! So beware mom and dad....your little sock bandit is on the prowl. Hi Bellatrix! I used to love socks when I was a little guy. I would steal them and then play tug-o-war with Mom. Of course I would win and pretty soon I had a huge sock collection. I love stinky socks too and also stinky feet. Really anything stinky has my name written all over it. 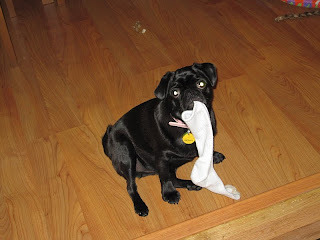 Sluggo....give it a try socks are so much fun to steal. It's even better when your mom chases you and wants to play tug-of-war. 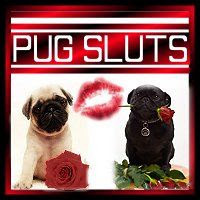 Hiya Stubby..thanks for reading my blog! I love stinky socks super much. When mom takes off her Uggs.....that's like a little bit of heaven. Hey Bellatrix! I steal socks too...and sometimes grandpa's underwear. Probably a little too much information there. I like the socks that are still on the feet. I will bite the feet until the human gives up and I rip the socks right off their feet. I wait till grandpa's underwear is in the hamper though. Not underwear! At least you wait until they are off...your grandpa wouldn't like it if you tried to bite them while he was wearing them. I met your grandpa and I wouldn't want to upset him because he gave me lots of love.